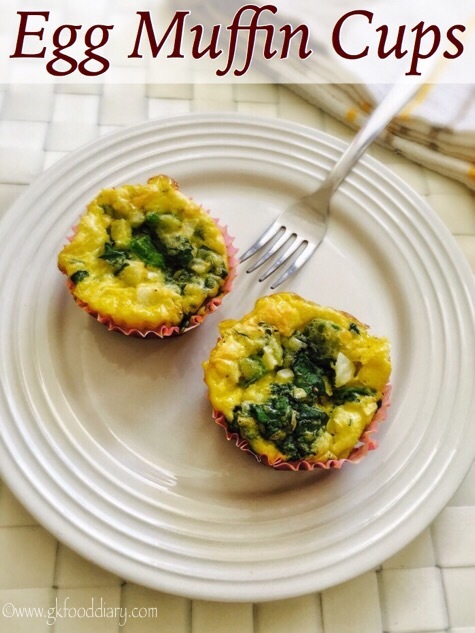 Egg Muffin cups – easy, quick and healthy muffins recipe with eggs and vegetables. 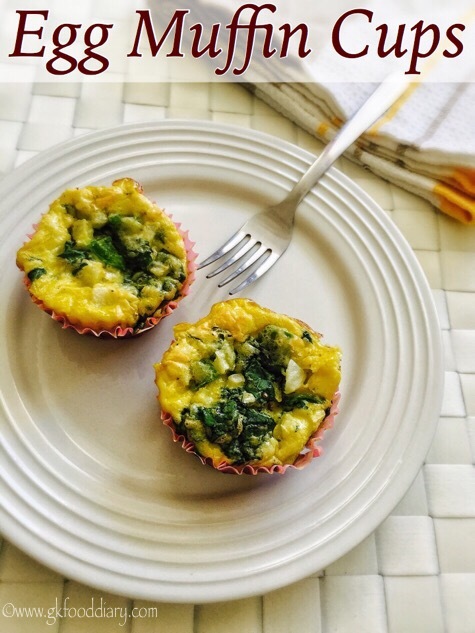 This savory breakfast egg muffins are so easy to make and must try for egg lovers. Its so filling and tasty with the goodness of vegetables and cheese. 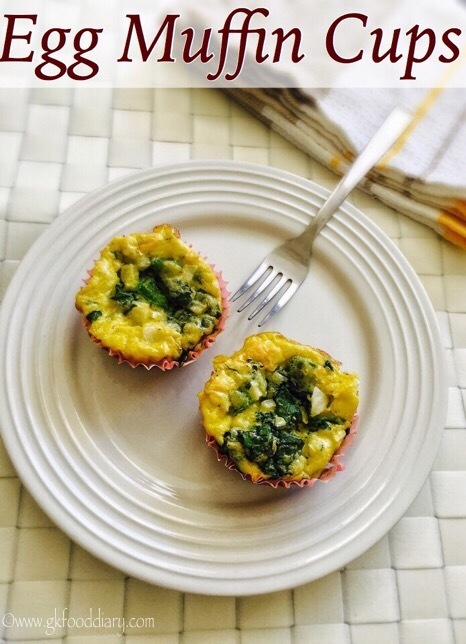 If your little one is bored of usual egg recipes, you could try this egg muffins for a change and they will like it for sure. You can give this egg muffins to your baby from 10 months as a finger food. Now Let’s get on to check how to make this easy egg muffin cups recipe for babies,toddlers & kids. 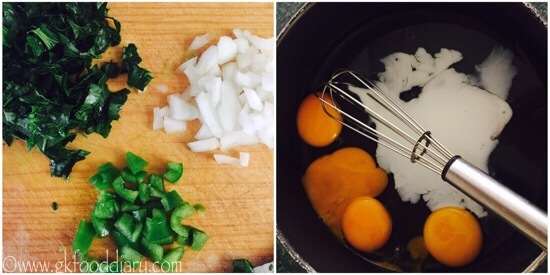 Egg Muffin cups - easy muffins recipe with vegetables and eggs. 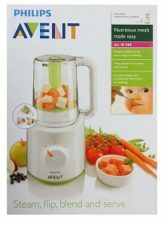 Healthy breakfast for toddlers and kids. Keep all the ingredients ready. Finely chop onions, capsicum and spinach. In a mixing bowl, add cracked eggs and add milk. 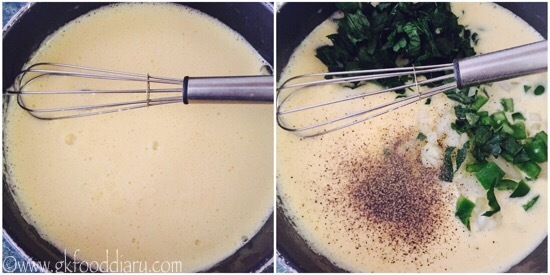 Then beat the eggs until frothy and fluffy with a fork or hand whisk. Then add chopped onions, spinach, capsicum, salt and black pepper powder. Mix everything together. Now add grated cheese. Give a quick mix. Grease the muffin liners lightly with butter/ghee. Then sprinkle little wheat flour on each liner and turn it upside down. Tap it slightly to get rid of excess flour. If you are using silicon molds, you can skip greasing the muffins liners. Pour the prepared egg mixture into muffin liners and Bake in the preheated oven for 15-20 minutes (baking time depends on the size of the muffin tray and oven) at 180°C till tooth pick inserted in the center comes out clean. Allow to cool in tray for 5 minutes . 1. Keep all the ingredients ready. Finely chop onions, capsicum and spinach. In a mixing bowl, add cracked eggs and add milk. 2. Then beat the eggs until frothy and fluffy with a fork or hand whisk. Then add chopped onions, spinach, capsicum, salt and black pepper powder. Mix everything together. 3. Now add grated cheese. Give a quick mix. Grease the muffin liners lightly with butter/ghee. Then sprinkle little wheat flour on each liner and turn it upside down. Tap it slightly to get rid of excess flour. If you are using silicon molds, you can skip greasing the muffins liners. 4.Pour the prepared egg mixture into muffin liners and Bake in the preheated oven for 15-20 minutes (baking time depends on the size of the muffin tray and oven) at 180° till tooth pick inserted in the center comes out clean. Allow to cool in tray for 5 minutes . The healthy egg muffin cups are ready! Choose large sized eggs to make this egg muffin cups. Make sure to grease the muffin liners in order to avoid sticky muffins. 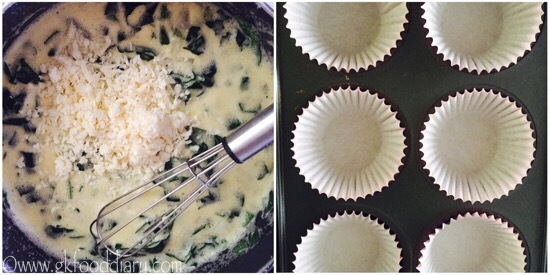 Fill each muffin liners only till 3/4th level otherwise it gets overflowed during baking. For babies below one year, you can make only with egg yolk. Skip salt. 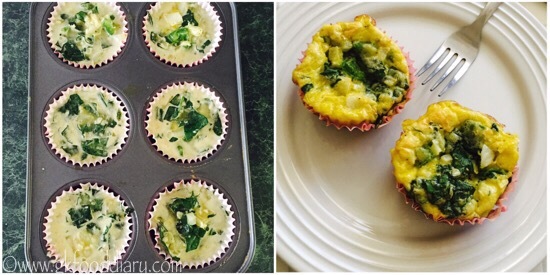 You can use any spinach variety and your choice of vegetables to make this egg muffin cups. Make sure to introduce vegetables and eggs separately before you try this egg muffin cups for your baby.